Canon recently announced a new arrival to their PowerShot family, the PowerShot G3 X. 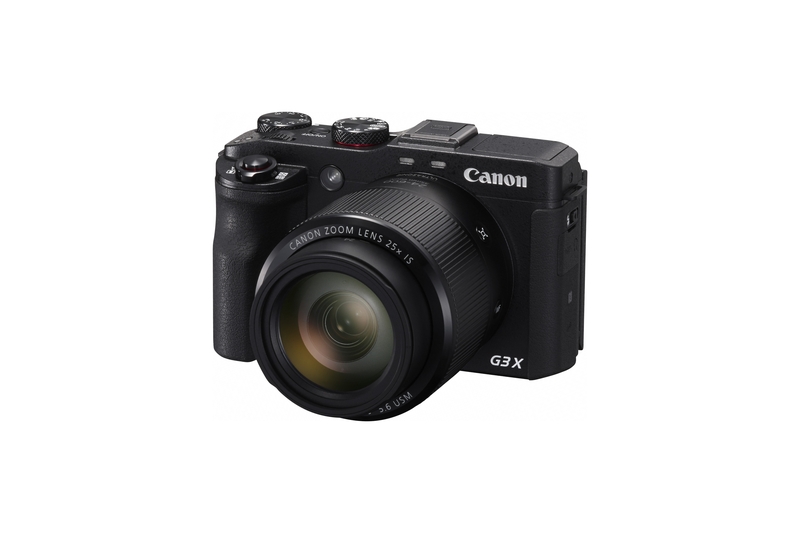 The PowerShot G3 X is a new premium high zoom digital compact camera, powered by a large 1.0 inch CMOS sensor, that allows the photographer to achieve superior image quality in low light environment. Equipped with a 24-600mm 25x optical zoom lens, this makes the Canon PowerShot G3 X versatile for different fields of photography. 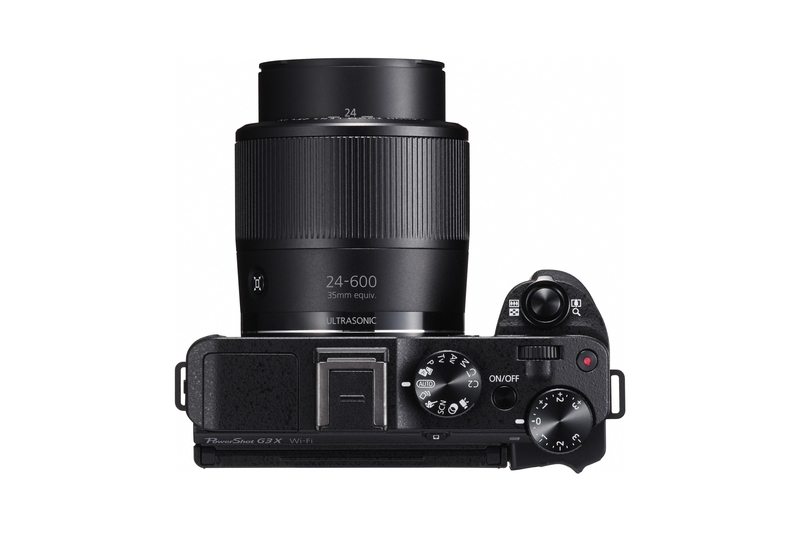 The prowess of the large 1.0 inch type CMOS sensor on PowerShot G3 X, complemented by Canon’s new cutting-edge zoom lens, enhances image quality and maximises performance. Derived from Canon’s EF lens technology, the PowerShot G3 X is designed to deliver stunning image quality even in high speed shooting scenarios, with its high quality lens fast auto focus capability. The second lens group is equipped with IS for optical image stabilization. Three UD lens elements and four aspherical lens elements are used in the construction of the lens. The combination of these components provides excellent aberration correction over the entire 25x zoom range, resulting in optimal image quality. Powering the zoom is a high-speed and quiet Micro USM II (UltraSonic Motor), providing the user with the possibility of high speed focusing on a moving subject , while maintaing smooth operation for high quality video and sound recordings with minimal noise disruption. Canon’s improved Zoom Framing Assist Auto Function automatically detects changes in the size of a subject’s face in the frame, distance from subject, and even the number of subjects based on the camera’s movement. The PowerShot G3 X automatically calibrates the zoom distance to achieve optimal framing to the appropriate subject size based on those parameters. With this function, users can be confident that their pictures will be nicely framed, especially in situations when pictures are taken by users unfamiliar with their camera equipment. Zoom Framing Assist Auto is a convenient feature available in both still photo and video modes. Advanced users will benefit from the PowerShot G3 X’s bulb exposure feature, which makes it perfectly suited for usage in any situation where long exposure is required (e.g. fireworks). Bulb exposure enables the camera’s shutter to remain opened as long as the shutter button is held down. This allows users to adjust their own shutter timing, and capture great looking shots of fireworks as the light trails will be perfectly captured. 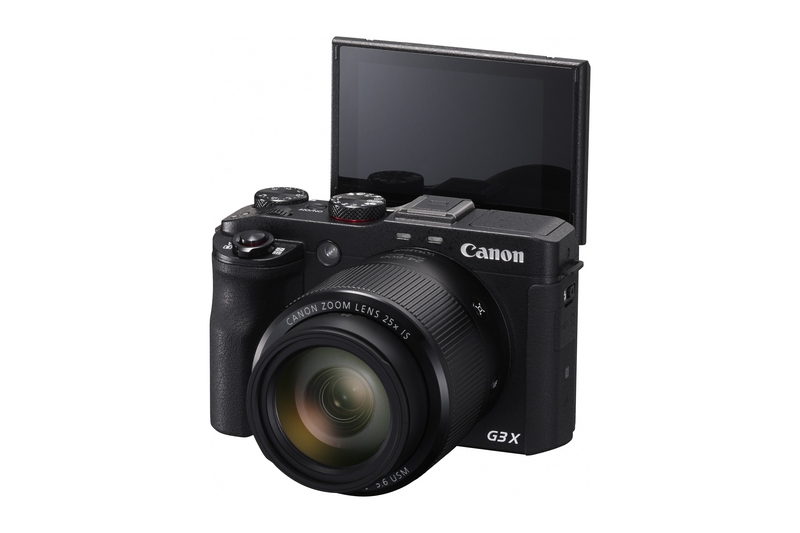 The numerous new movie specific features such as the improved Dynamic IS makes the PowerShot G3 X Canon’s game changer for recording movies in the compact camera segment. Dynamic IS has five axes of movement, including horizontal and vertical rotation that corrects strong and fast shaking movement that occurs while moving and shooting videos. With Dynamic IS, the PowerShot G3 X is primed to deliver high quality and smooth video footage on-the-go. Users who have an artistic flair will also enjoy the PowerShot G3 X’s new story highlights function. With story highlights, users can easily put together their very own movie clip using previously captured still images and video clips shot in Hybrid Auto Mode. Additionally, users can choose from three mood-enhancing soundtracks to be used as background music for their customized video clip. The PowerShot G3 X also enables users to shoot 4-second video clips with the short movie function, and have the option to apply slow-motion or fast-motion effects. Users will be able to control the sound, aperture, and ISO speeds for desired expression in manual movie mode. The design of the PowerShot G3 X strikes a perfect balance between sophistication and durability. 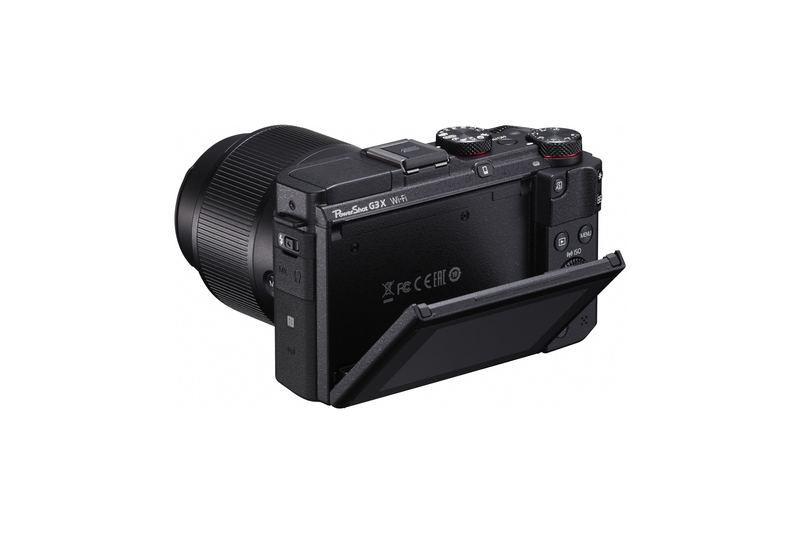 The camera accurately aligns its body with rubber material sealing and bonding to achieve the level of dust and water resistance of its mid-range EOS cousins. This provides users a greater sense of security when using it outdoors. The EOS-like user interface also enhances intuitive operation of the camera. The clarity of the high resolution 1.62 megapixel 3.2 inch touch panel LCD monitor provides users with more focus accuracy, especially in macro photography. Its high luminance also makes it comfortable to view when outdoors. The tilt-type LCD, which can tilts 180 degrees upwards and 45 degrees downwards, offer users the versatility to frame shots from any angle. The PowerShot G3 X is designed to make use of the latest technology to connect to other devices with ease. The Wi-Fi and Near Field Communications (NFC) capabilities of the camera allows it to easily connect to smart devices such as mobile phones and tablets. When connected to a WiFi network, users can quickly and seamlessly transfer images and videos via Canon Image Gateway, cloud storage, or any social media platforms. Another useful feature when connected to a smart device is Remote Shooting. With Remote Shooting, a user is able to operate the PowerShot G3 X from a distance, using their smart devices. The camera’s view is projected onto the smart device using an app, and from there the user can directly adjust settings such as focus, shutter speed, zoom, ISO, aperture, and aspect ratio. The interface is a simple touch interface that users will find familiar and intuitive. With the Canon Connect Station available, users can tap the PowerShot G3 X to the station and save their images and videos, and then enjoy them on a connected TV for maximum viewing comfort. Pricing and availability of the PowerShot G3 X will be advised at a later date.